We know how important vitamins are for our bodies, but what about minerals? Minerals perform various vital functions, including keeping your bones, muscles, heart and brain working properly. According to the U.S. Department of Agriculture (USDA), most adult Americans aren’t getting enough of the nutrients their bodies need. That includes minerals like calcium, potassium and magnesium. Trace Minerals: just a small amount will make a big difference in your health. With different mineral categories and so many options available, let’s discuss some key choices and how you may benefit. As always, Cooper Clinic recommends a “food first” philosophy, meaning the nutrients your body receives should come from your diet, first. However, if you’re not getting the recommended amount through the food you eat, supplements can help. Benefits: According to the National Library of Medicine, you have more calcium in your body than any other mineral. While 99 percent of calcium is stored in your bones and teeth, the remaining one percent still plays a big role by helping blood vessels move blood throughout the body and by helping muscles expand and contract. Recommended Daily Value: Because of the role it plays in helping develop strong bones, growing children and teenagers may require more calcium than the average young adult. National Institutes of Health recommends 1,300 mg/day for children ages of 9-18, as well as for pregnant or breastfeeding mothers. Adults 19-50 should be receiving 1,000 mg/day, as well as men 51-70. It’s recommended women over 51 and men over 71 consume 1,200 mg/day. Food Sources: Calcium fortified foods such as milk, cheese and yogurt, are great sources of calcium. Green, leafy vegetables and fish with soft bones, such as sardines and salmon, can also provide you with the calcium your body needs. Supplement Options: If you don’t consume optimal levels of calcium in your diet, supplements may be able to help. Cooper Complete Calcium Citrate contains 250 mg calcium citrate per tablet. Cooper Clinic recommends taking this particular supplement in the evening, before bed. Find out why. Benefits: Magnesium is the fourth most abundant mineral in our body and helps regulate muscle and nerve function, blood sugar levels and blood pressure. Recommended Daily Value: The daily reference value for magnesium is 400 mg/day for men 19- 30 years of age and 420 mg/day for men over the age of 30. For women 19- 30 years of age, 310 mg/day is recommended, while 320 mg/day is preferred for women over the age of 30. Food Sources: Adding legumes, nuts, seeds and whole grains to your diet is a great way to increase your magnesium level. 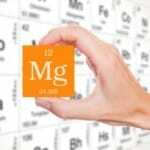 Green, leafy vegetables, such as spinach and kale, also provide good levels of magnesium. Supplement Options: Try a Cooper Complete Original multivitamin, which contains 660 mg, Basic One multivitamin containing 200 mg or Magnesium Oxide supplement with 500 mg per serving. Benefits: Many of the benefits potassium offers come down to the building and break-down process in your body. Potassium is necessary for not only building muscle and proteins, but in breaking down and using the carbohydrates you consume. Recommended Daily Value: It’s recommended that those ages 14 and above consume 3,500 mg of potassium/day. Food Sources: Picky eaters will be happy to know that achieving your daily dose of potassium-rich foods is quite easy. That’s because most food items contain potassium. All meat products as well as fish products, such as cod and salmon, are packed with potassium. Vegetarian? Vegetables, including broccoli and sweet potatoes, citrus fruits and dairy, like milk and yogurt, are also great choices. 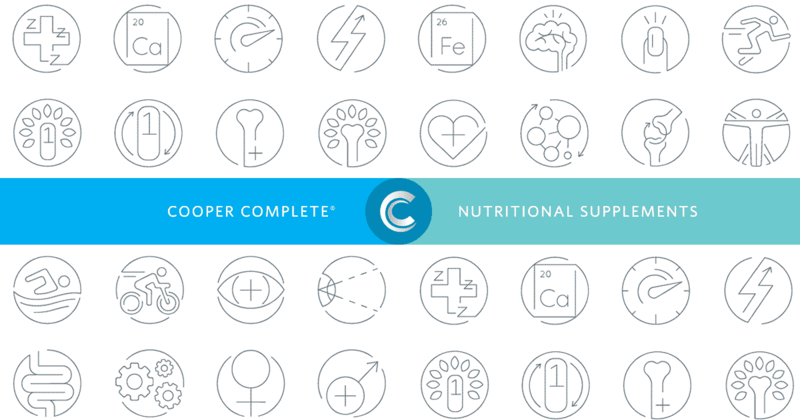 Supplement Options: Try the Cooper Complete Original Multivitamin which each provide 400 mg/serving. Benefits: Copper is beneficial not only internally, but externally. In conjunction with iron, copper helps the body form red blood cells. It also helps keep the blood vessels, nerves, immune system and bones healthy. Consuming just 3 mg of copper/day has been shown to have a small cardiovascular benefit and can help improve the appearance of your skin. Recommended Daily Value: Copper deficiency can lead to problems, including anemia and osteoporosis, so it’s important to make sure you’re getting the recommended daily amount. The daily reference value for copper is 2 mg. For teens 14-18 years, the recommended amount is 890 mcg/day. That amount bumps up slightly to 900 mcg/day for adults age 19 and older. Food Sources: Oysters and other shellfish are great options if you’re looking to increase your copper intake. Whole grains, beans, nuts and potatoes are also good sources. Supplement Options: If your diet isn’t providing you with the recommended daily amount, Cooper Complete Original Multivitamin Iron Free is a great choice. It’s especially beneficial for women in their childbearing years, as it provides the highest level of supplementation. Benefits: The benefit of zinc is quite simple─you need it to stay healthy. Zinc helps your immune system fight off invading bacteria and viruses. Zinc is also essential during pregnancy and early childhood years, as it helps your body grow and develop. Recommended Daily Value: The daily reference value for zinc is 15 mg.
Food Sources: If you love oysters, you’re in luck, as a 3 ounce serving contains 74 mg of zinc. A similar serving of beef or crab contains 5-7 mg while chicken breast has 0.9 mg.
Making sure you’re eating mineral-rich foods, drinking plenty of water, exercising daily and getting enough sleep are all things you can do to live a healthier lifestyle. One of Dr. Kenneth H. Cooper’s “8 Steps To Get Cooperized™” includes taking the right supplements for you.